It's only October but I'm already looking forward to going to Chennai (formerly Madras) this December for the annual festival of Carnatic (South Indian) music and dance, which has come to be known as the ‘December Season’. Chennai is an important cultural centre with over 60 sabhas, or cultural organizations. Each stage their own programme every December featuring all the big names in Carnatic music and South Indian classical dance, as well as young upcoming artists. Most concerts and performances take place during the second half of December, but many already start around mid-November and run up to the middle of January. This time of year corresponds to the Tamil month of Margazhi, a time dedicated to spiritual activities and bhakti or devotion, which is traditionally expressed through classical music and dance, which are considered to be forms of worship. This is also the time of year when the weather is at its mildest, driest, and most pleasant, ideal for attending concerts and dance performances. The vast majority of concerts are by Carnatic vocalists, accompanied by South Indian instruments such as the violin, mridangam (a double-sided drum), ghatam (an earthenware pot used as a percussion instrument), flute, and veena (a stringed instrument). 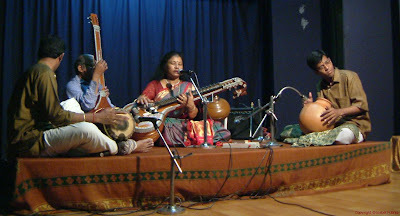 But there are also many concerts featuring musicians of other ‘non-traditional’ instruments such as the saxophone, mandolin, guitar and keyboard played in the Carnatic style. 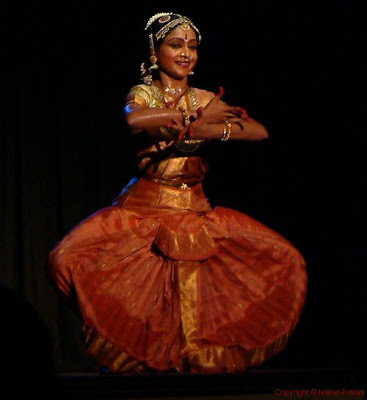 Most of the dance performances feature Bharata Natyam, the classical dance of Tamil Nadu, but other Indian classical dance forms, such as Mohiniattam, Kuchipudi and Odissi are also showcased. The festival has its origins with the All-India music conference which took place in December 1927, organized by the Indian National Congress Party. At this time, the now famous Madras Music Academy was founded, and a music festival was subsequently held every December. Since then, more and more musical organizations have hosted their own festivals, in parallel to that of the Music Academy. To perform during the music season in Chennai is considered to be a great privilege for artists as it has become the biggest and most important festival of South Indian music and dance in India - and the world, featuring over 2000 performances by hundreds of artists at over 60 venues, with performances running from morning to evening. Some of the sabhas have already published their schedules. I've decided to post the links here for any dance or music lovers who happen to come to this page looking for details of when their favourite artists will perform during the Season. This page will be updated as new schedules come out. See you in Chennai this December! Music Academy Dance Festival (3-9 January 2008) A MUST for all dance lovers! Many of India's top dancers will be performing. Lovely blog! So glad I came across this. Will link it to my blog on Bharathanatyam- if you are OK with it. Hi Sangeetha! Thank you for your comment and yes, you're more than welcome to link to your blog. Hi Isabel found you!... The particular Wordpress Theme I am using isnt allowing me to add blogs other than those at wordpress.Maybe I have to come up with a text box or something and use HTML tagging .